Your chief executive declared yesterday that it’s “not sufficient” to use a birth certificate as reference point to determine a person’s gender. I’m certain that he doesn’t actually believe that. Most of the people who’ve submitted to the “transgender” superstition don’t actually believe it. They know full well that a girl is a girl and a boy is a boy. That’s the obvious truth. But in these irrational days, it takes a bit of fortitude to stand by the truth, especially the most obvious truths. Unfortunately, fortitude is precisely what you lack. And by “you,” I mean the leadership who made this decision. The actual scouts themselves are just another set of victims here. But not for much longer, because Christian families are pulling out. We’re done with you. For good. We tried to tell you this would happen. Once you start compromising with the Culture of Death, it never ends. You can’t just sell a piece of your soul to the Devil and expect him to leave you alone. No, he wants to eat the whole thing. He’s always hungry, never satiated. So, you surrendered to the LGBT lobby a few years ago and allowed in openly gay Scouts, even though the Supreme Court had already upheld your right to exclude them. You thought the forces of darkness would be satisfied with that, but they weren’t. Like we warned you. Then you surrendered and welcomed openly gay scoutmasters into the fold, enabling homosexual men to accompany young boys on overnight camping trips and all the rest of it. You thought they’d finally leave you alone then — I mean, what else could they possibly want? — but you were mistaken. You’d made every concession demanded by the LGB, now it was the T’s turn. They didn’t have to fight too hard. You were already on your knees, groveling and whimpering. 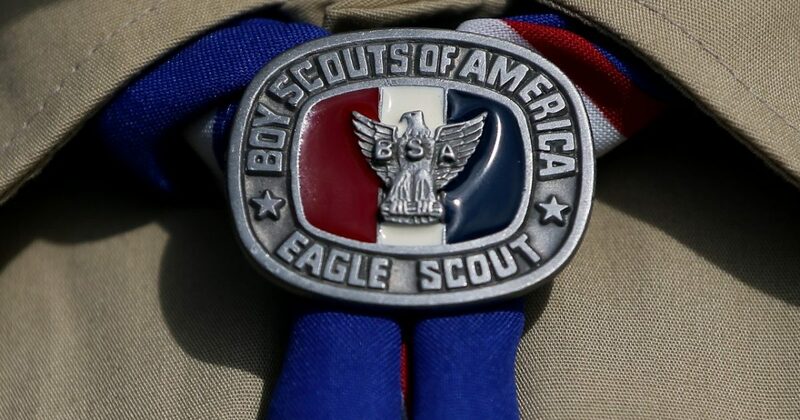 You’d already decided to abandon the “keep myself morally straight” part of the Scout oath. Why not dispense with the rest of it? Why not utterly dismantle everything that has defined you for over a century? Why not defeat the entire purpose of your organization for the sake of an infinitesimal fraction of the population? The point of the Boy Scouts is to teach boys how to be men. Why not alter that formula so that you can also teach girls how to be men? Well, I can think of a few reasons why you shouldn’t: logic, sanity, decency, reality, morality, etc. But you’d punted those particular footballs a while ago. So here we are. You’re finished now. You know that, right? It’s primarily Christian parents who send their kids into the Scouts. Well, that’s over. My two sons will never be Scouts. Ever. And I guarantee that my feelings reflect the sentiment of most conservative Christian families, which is (or was) your lifeblood. Good luck trying to survive with only radical leftists donating their money and enrolling their kids. How many leftist scouting enthusiasts do you think exist in the country? Leftists don’t go camping unless it’s a jam band festival. You better starting singing Phish tunes around the campfire or you don’t stand a chance.